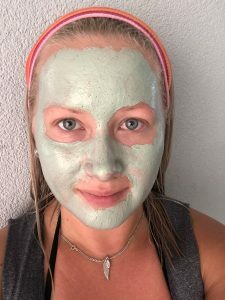 3-minute mask, with mineral clay, to cleanse deep, reduce the look of pores and get a healthy-looking glow. This non-drying mask removes impurities and excess sebum and unclogs pores. Use twice-weekly to cleanse against the build-up of city grime, makeup and impurities to help fight dullness and let skin feel as if it can breathe easier. This mask combats dullness and absorbs oil and impurities. Skin looks noticeably healthier, brighter and more even, feels soft and looks luminous. Tested on all skin types, even sensitive. Purified and healthier-looking skin within 2 weeks. Pores look reduced within 4 weeks. Gentle, comfortable and non-drying texture for easy-on, easy-off application. Freshness streamlines application and removal. Dead surface skin cells are scrubbed away with a sweet sensory experience. Non-drying, in 3 minutes your mask is on – and off again. – Option 1: Use twice weekly all-over at hometime or after your run for a deep-cleansed glow. – Option 2: Use to target trouble in the T-zone. – Option 3: Apply to cheek contours only for light-reflecting contouring when the big occasion calls. FORMULA WITH ASTAXANTHIN, GHASSOUL MINERAL CLAY, AND LIFE PLANKTON. At first I liked this mask but more I used it, more my opinion of it has changed. I purchased it around 3 months ago. I loved the way it is packaged, great quality glass, beautiful vibrant color, big size jar. Unfortunately this mask doesn’t come with an application spatula. I still remember the first time I used it. It was so creamy and went on with a nice thin layer. I was surprised to find scrubbing particles in it but I did like their presence in (it makes it easier to wash off this mask off). Back then I put a nice layer and covered my entire face and left the mask on until it was half-dry. Then just simply rinse it off, tone – you are good to go. Couple of days later I reached for it the second time. That’s when it started acting wonky on me. I applied it for 3 minutes as it was advised by the manufacturer and washed it off. 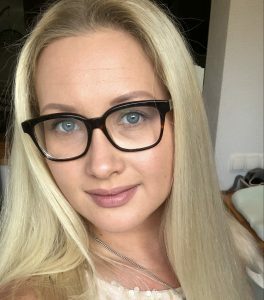 The next day my skin was feeling very textured and I couldn’t get rid of the feeling that my pores were ultimately clogged. So I did apply it for the third time and same thing happened. I started poking the mask around and saw that it has a mica glitter powder in it. 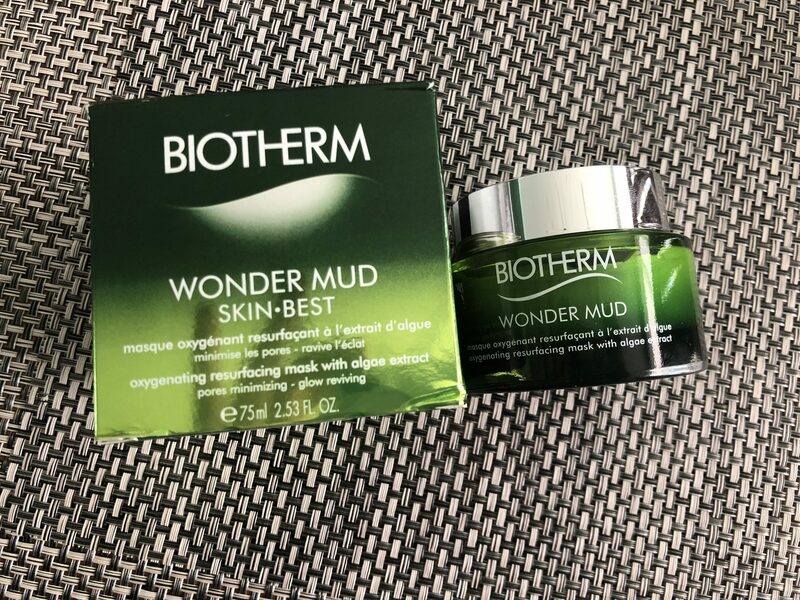 After you wash the wonder mud off your face, look closely and you will see some small golden-hue specks of glitter (fine milled powder) remaining on the skin. That was the reason that my skin was boycotting. I immediately stopped using this mask because it did me no good whatsoever. Today I reached for it only to write this review and it is officially the last time I will use it on my face. 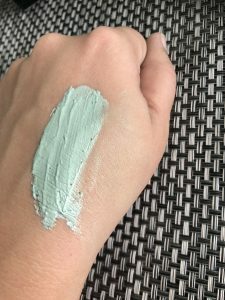 The texture of this mask is very soft, creamy, almost whipped. 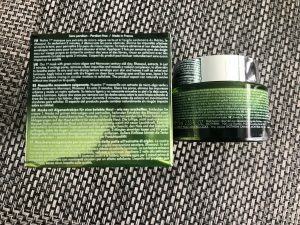 It is highly scented with that artificial strong lemony(citronella) fragrance that lingers on top of your skin even after you rinse the mask out. To me it does nothing in the 3-minutes application time. My skin does not feel more hydrated or revitalized, it also doesn’t look any brighter, cleaner, calmer… Nothing. The rinsing part is also so-so. If you let this mask on for longer than 5 minutes then it comes off much easier than after 3 minutes wearing time. Once I was washing it off my skin felt greasy (I presume there is a high content of glycerine it it). In order to protect my skin from the aftermath I had to go over with my foam to oil cleanser + toner to remove every last bit of it off my face. 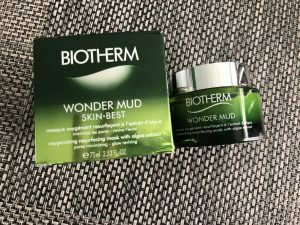 Unfortunately the Wonder mud did no wonders and left me extremely disappointed.